An updated version of this page can be found here. Webrageous is one of the leading providers of AdWords management for law firms. We have helped many firms advertise different types of practice areas including: criminal defense, personal injury, bankruptcy, wage and hour cases, family law, medical device liability, pharmaceutical liability, and several other practice areas as well. One of the biggest advantages we offer is a great ratio of account managers to clients. The average account manager at Webrageous manages under 10 accounts. Many of our competitors hire account managers who are expected to manage 80 accounts. It’s very hard to make a difference if you have 30 minutes a week or less to devote to each client. Here at Webrageous our account managers have 4 to 8 hours per week and sometimes even more to commit to newer clients. Be sure to click on the 60 day trial link at the top of the page. We can write hundreds of pages about how great we are. But all that really matters is if the rubber meets the road and we can deliver great results for your firm. Take a look at the screenshot below. As you can see we’re driving a lot of calls for this personal injury law firm every week. Calls are more likely to turn into clients than contact form submissions. It is a lot easier to answer calls than to chase down someone who filled out your contact form last night…. This video includes testimonials from 4 law firm clients as well as some clients outside of legal. The account managers we hire typically have 5 to 10 years experience in the industry and undergo a rigorous hiring process including personality tests, an intelligence test, skills tests and more to make sure they are the right fit. Most clients who hire us have heard some pretty amazing promises from other PPC management firms in the past. it all sounds great until you are a few weeks or a few months into the relationship and you realize it’s the same story with another PPC management firm. Results haven’t improved. So you go back to Mr. Google and search for another management firm. Rinse, wash, repeat…. It’s hard to tell the difference between the real deal and a poser in this industry. You have a law firm to run and you want it to grow and you don’t want to waste time or money. That’s why we offer a 60 day risk free trial. If you don’t like us for any reason you can kick us to the curb without paying any management fees or set up fees. Our experience helping law firms improve their AdWords campaigns dates back to 2004 when we started helping Schneider & Wallace. 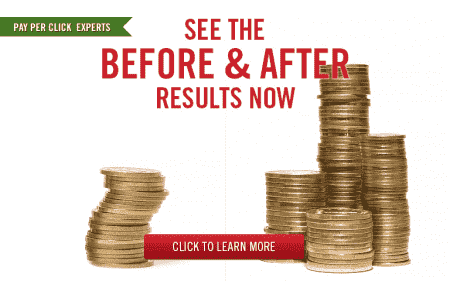 We greatly improved their class action and employment campaigns with Google AdWords. Our results video below shows the tremendous results we have been able to achieve. We built upon our legal marketing experience when we took on an assignment helping to promote auto accident cases and pharmaceutical liability campaigns with the prestigious law firm of Ashcraft & Gerel. We have managed budgets for several law firms in excess of $100,000 per month. Pharmaceutical liability isn’t practiced by that many law firms and it’s very hard to find a PPC management company that understands this space well. Here is a screenshot showing the number of leads and cost per conversion we achieved for one of our clients. Keep in mind phone calls are not counted here and reduce the cost per conversion by about 50%. It is important when choosing a pay per click management company to choose a firm which is experienced in helping other law firms. If you are an attorney you undoubtedly are aware of how conservative your State Bar is with respect to legal advertising. It is important to review the text ads used so as to avoid sanction or even disbarment by the State Bar. We are very aware of how careful we need to be in the text ads we write. This results video highlights results from several law firms we have helped as well as some clients outside of legal.